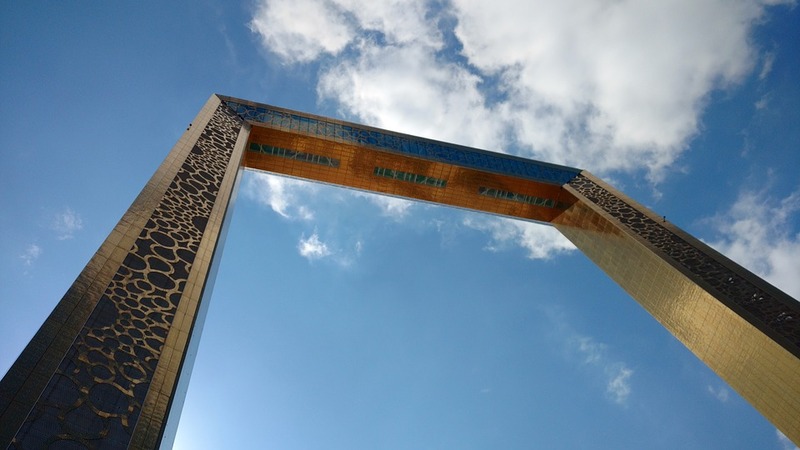 The Dubai frame is an architectural landmark in Zabeel Park, it’s one of the city’s latest attractions and is ideal for practicing and refining your photography skills. This 150m high iconic viewing platform offers breathtaking panoramic views that showcase the old Dubai from one side, and the relatively new and modern Dubai from the other. 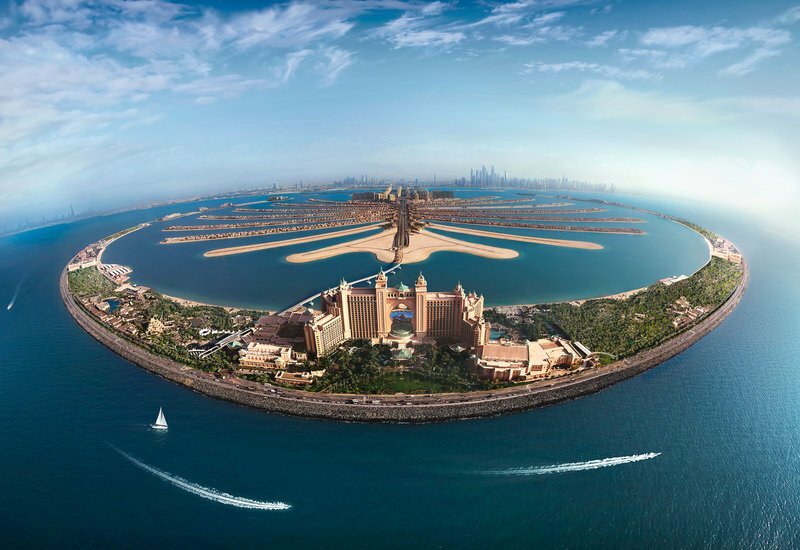 A glimpse from the frame offers an awe-inspiring display of shimmering marinas, gleaming skyscrapers, bustling souks and the towering golden dunes of the desert. The frame celebrates the story of Dubai from its early stages of establishment to its ambitious upcoming plans and future developments. The experience gets even better with the impressive gallery on the ground level, which leads guests through various audio and visual projections, curated mists and scents that retell the captivating story of the city’s roots. Surrounded by perfectly manicured gardens, The Sheikh Zayed Grand Mosque is an exceptional welcome to the city of Abi Dhabi. With Architects from Italy, UAE, and the UK, and design inspiration borrowed from Pakistan, Morocco, Egypt, and Turkey, the Sheikh Zayed Grand Mosque is truly a global icon. It showcases over 80 marble domes on a roof-line held aloft by over 1000 pillars, all surrounded by four 107 meter-high minarets. If you enjoy architecture and interior photography, make sure to visit this venue, you’ll absolutely love it! Not to mention, the 24-carat-gold plated chandeliers, and the world’s biggest hand-knotted carpet also make for some great photographs. the Grand Mosque is truly a masterpiece of modern Islamic architecture and design. 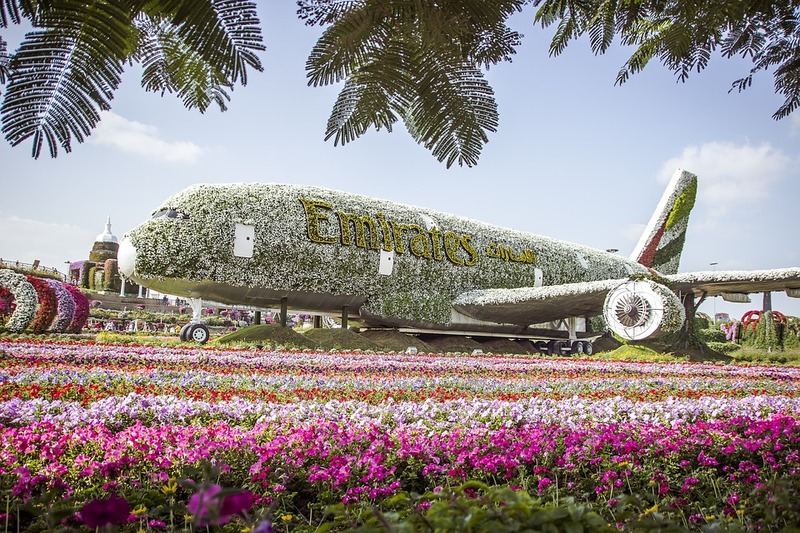 The Miracle Gardens are home to over 150 million blossoming flowers that are showcased in a variety of incredible sculptures and unimaginable designs; some of which include a life-size A380 superjumbo, a floral castle, and a giant Mickey and Mini mouse statue — perfect for all you Disney lovers out there. The Miracle gardens are ideal for capturing stunning photographs that portray the beauty and vibrancy of the colorful blossoming flowers. If you do happen to visit this destination, we highly recommend you also visit the Butterfly Garden which is just a few minutes away. The Butterfly garden houses over 30,000 species of butterflies in custom made domes. However, it’s worth remembering that this venue is only open from November to May. That’s right a seaplane ride is a must do in Dubai, especially if your a photography enthusiast! The seaplane offers a magical journey across Dubai’s dramatic and ever- changing coastal skyline. Enjoy, a unique bird’s eye view of iconic monuments like never before, every seat on the luxury seaplane has a window, ensuring excellent views throughout your flight. A seaplane ride is also smoother as compared to a helicopter, and more importantly, offers a unique water take-off and landing. Sounds exciting right? Throughout the journey, you’ll glide over the wondrous Palm Island, the World Island, Burj Al Arab, and many more scenic attractions. Unobstructed aerial photographs of Dubai’s coastline, its architectural wonders, and its traditional desert landscape are truly magnificent. A seaplane tour is without a doubt the best opportunity to capture stunning photographs of Dubai. This abandoned village locally known as Jazirat Al Hamra is rumoured to be haunted. Nonetheless, it’s an adventure in itself, walk through the ruins of adobe houses covered in sand and interiors drowned in the dunes, witness walls which were once crafted from seashells, corals, stones, and mud. The Ghost Town is commonly visited by the top fashion photographers who are longing to shoot images of high-end clothing against the neglected, crumbling exteriors and sand packed interiors of the village homes. The Dubai Mall is the ideal destination for capturing those typical touristic photographs! It’s home to a picturesque indoor waterfall, a majestic outdoor fountain, a giant aquarium wall, and an underwater zoo which houses the world’s largest crocodiles – both King and Queen Croc. 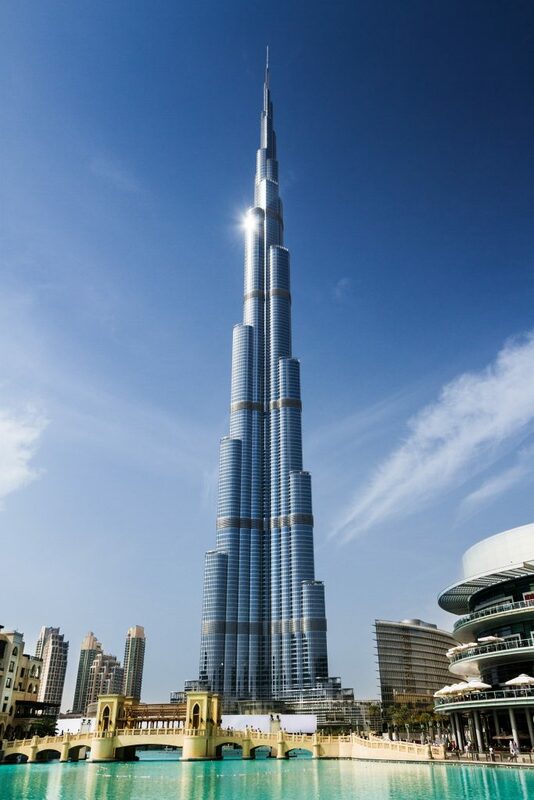 From the outside entrance of Dubai Mall, you get a glimpse of the Burj Khalifa which currently holds the record as the world’s tallest building and structure. If you do happen to visit, make sure to carry your wide angle lens! The outdoor terrace is a great spot to photograph the Dubai fountain with the Burj Khalifa illuminated in the backdrop. With over 1,200 shops and 150 diverse eateries, a whole day spent at the Dubai mall is still not sufficient. There is lots to do and a handful of fun-filled activities for the kids including an ice rink, an indoor theme park, and the famous Kidzania — all of which make for great photographs. Enjoy laid-back fun at Dubai’s newly opened quirky beachfront area. 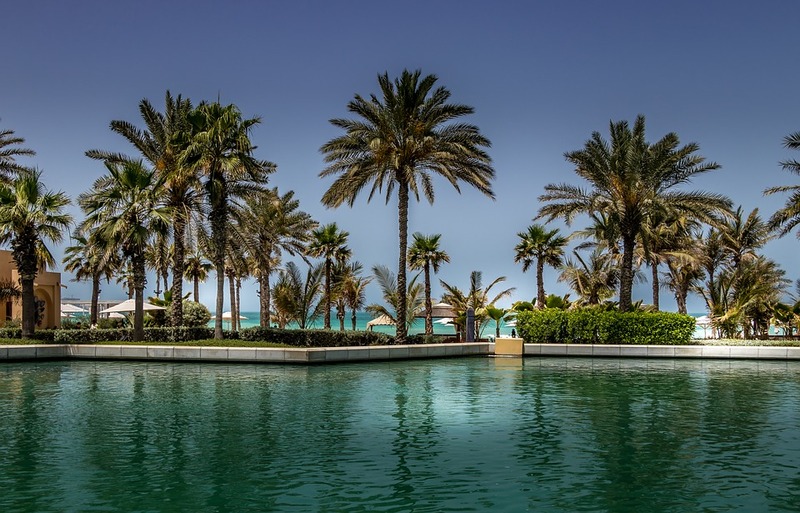 La Mer offers the best of the sea, sun and outdoor fun in Dubai. The bustling picturesque backstreets, open spaces with tree-lined boulevards, and graffiti art paintings make for interesting and eccentric photographs of this otherwise perfect city. Not to mention, La Mer is also host to a newly opened outdoor waterpark that is sure to offer action-packed entertainment for the entire family. If you prefer, simply kick back on the beach with a few drinks and a good book — while you’re at it, make sure to get a picture of the sun setting over the glistening seas of the Arabian Gulf. Immerse yourself in a time capsule that brings to life a souk where everything from goats to dates were once traded amongst friendly residents. With a sturdy fort to repel invaders, a mosque, and an encampment, the Heritage Village is a wondrous reconstruction of a typical oasis village before the city’s oil boom. The venue also features several public galleries and workshops where local artisans demonstrate the fine art of pottery making, fabric weaving, glass blowing and applying henna. If your lucky, you might get the chance to join in! Without a doubt, the Heritage Village is a great spot to capture some cultural pictures of the city. Treat your senses to a tantalising array of spices from across the globe at the Spice Souq in Dubai. As you make your way through the tiny alleyways of old Dubai, be sure to savour the environment as you’re introduced to plenty of aromatic herbs and spices that spill from large baskets at every turn! The market and its encircling alleyways make for fantastic photo opportunities that depict the cultural essence of the city in action. Wander beyond to explore the nearby fabric markets and the famous gold souk. There is nothing more enjoyable than sipping on a matcha green latte, putting on some dungarees and wandering the streets of Alserkal Avenue. In recent years, this venue has emerged as one of Dubai’s most famous enclaves and creative hubs featuring a mix of warehouse workers, artists, creatives and gym junkies. Its central hub offers countless pop-up concepts, edgy art performances, small theatres, cutting edge exhibits, and is also home to the best photography studios in Dubai. What started as a small block of warehouse spaces housing under 20 art galleries has now emerged into a 500,000 Sq-feet plus urban hub blending art, fashion, music, food and a dynamic programme of cultural events. Alserkal Avenue is a must visit for those who love art, food and of course photography! Thanks for reading this article, I hope we were able to inspire you with some of the venues we mentioned above. Do let us know what you thought? Have you got some better ideas which we may have missed out? We’d love to hear back from you! Sonika Dhall is a Fashion and Beauty Photographer at The Photography Co in Dubai. Originally from Italy, she’s travelled the world to work alongside famous fashion photographers and brands in Paris, Milan and London. Sonika enjoys writing blogs to share her knowledge of Fashion & Beauty Photography. Have You Ever Heard Arabic Mountain Reggae?